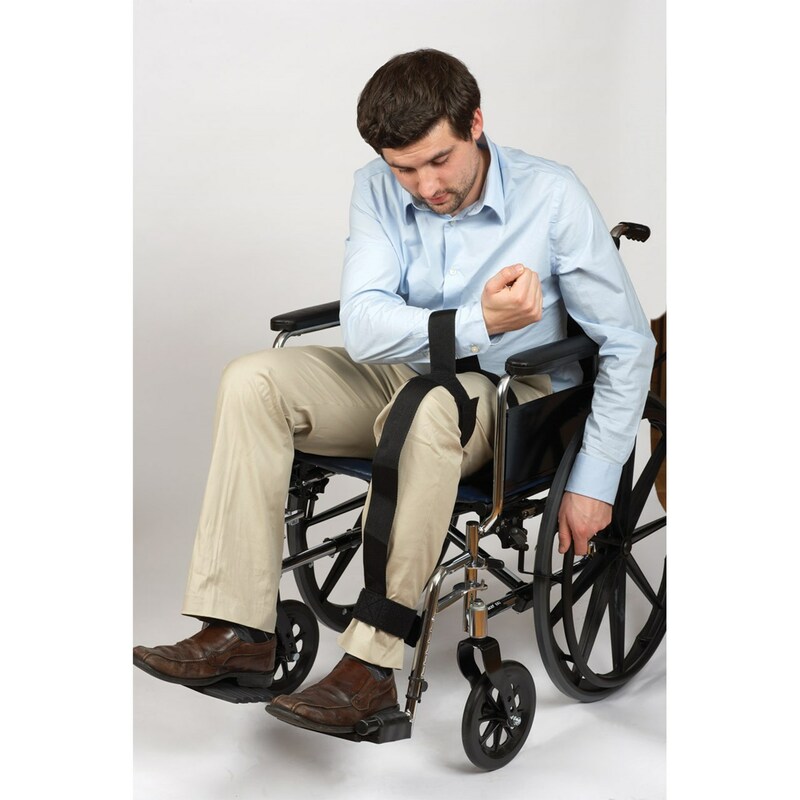 Use for transfers to/from bed, chair, sofa, wheelchair, toilet seat, etc. An easier, safer way to reposition and transfer the legs. For people with hemiplegia, paraplegia, hemiparesis or paraparesis who have limited or no use of their leg(s). 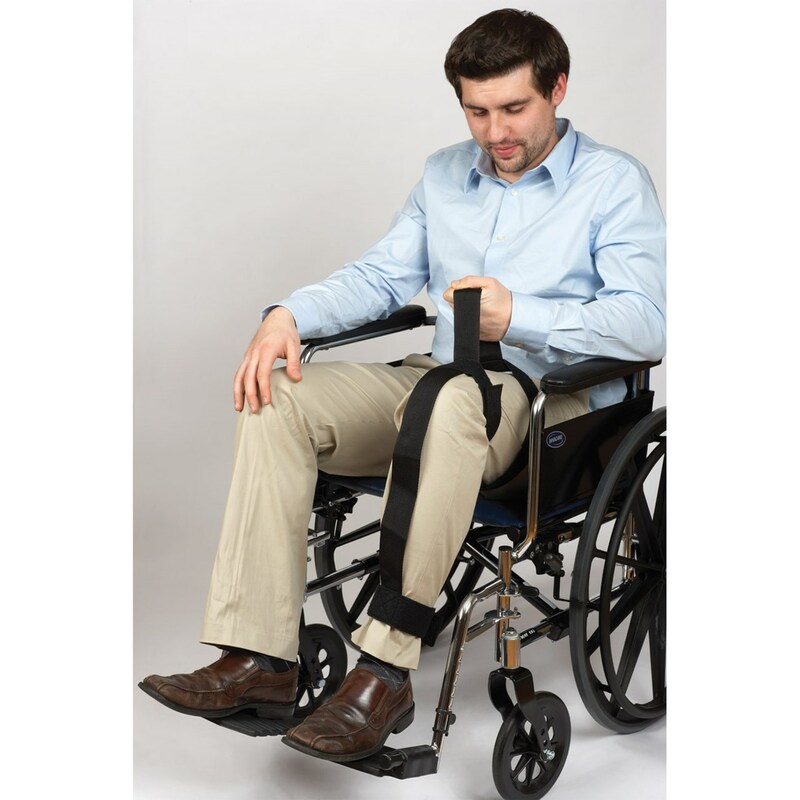 Attaches to the leg in 3 places to assist in repositioning the leg and transferring to/from a bed, chair, sofa, wheelchair, toilet seat, etc. Upper and lower handles allow for a more controlled movement and reduce bruising and injury caused by grabbing and dropping the legs. Handles also eliminate the need to tug on clothing, preventing rips and tears.